October 2017. 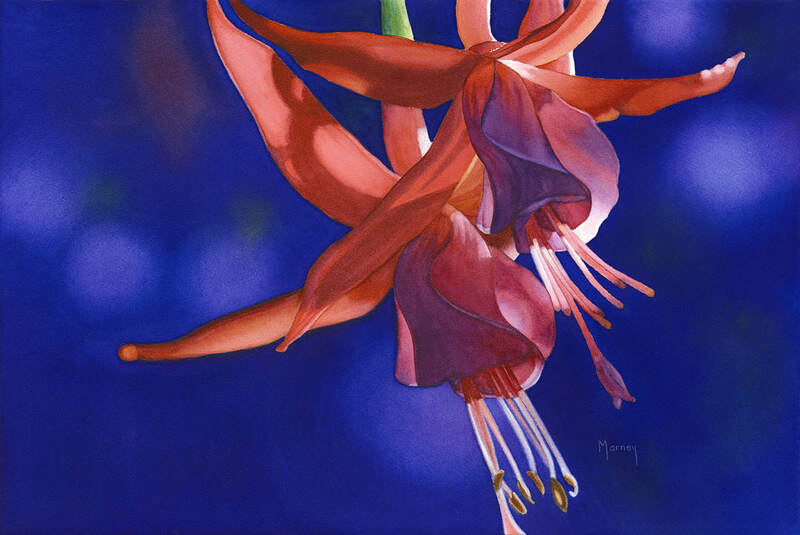 I had three paintings accepted to this exhibition of over 400 paintings, A Flash of Fuchsia, Lingering Light and Diaphanous. I had 25 paintings in this show. 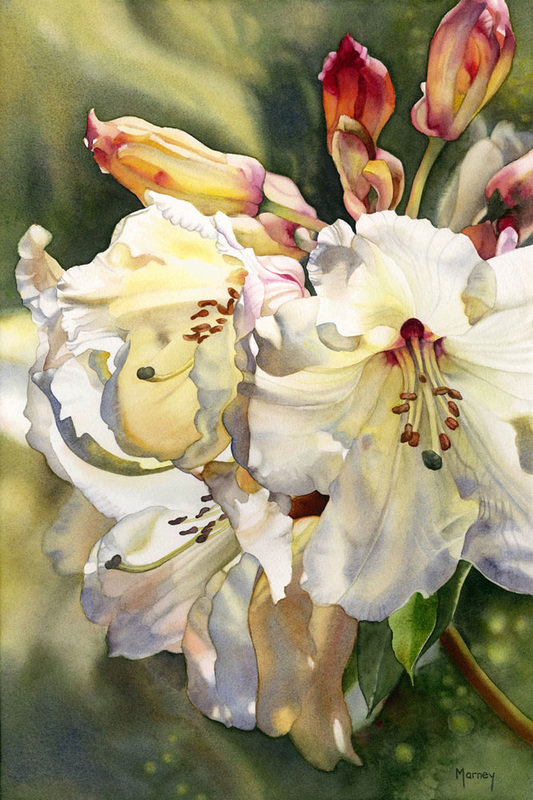 Dancing in the Light II, watercolour, image size 21 x 29". framed size 31 x 40"
This Exhibition includes original paintings by Emily Carr, A.Y. Jackson, Jean Paul Riopelle, Jack Shadbolt, David Milne, Josepth Plaskett, David Blackwood and many other internationally known artists. I was represented by the painting Dancing in the Light II. 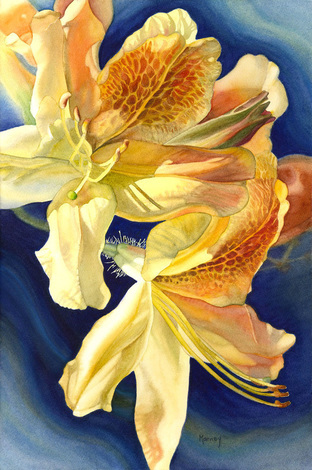 My painting Orange Day Lily will be part of this major exhibition celebrating the 75th Anniversary of this Canadian Art Institution, founded by luminaries in the Canadian art scene such as Lawren Harris and Emily Carr. 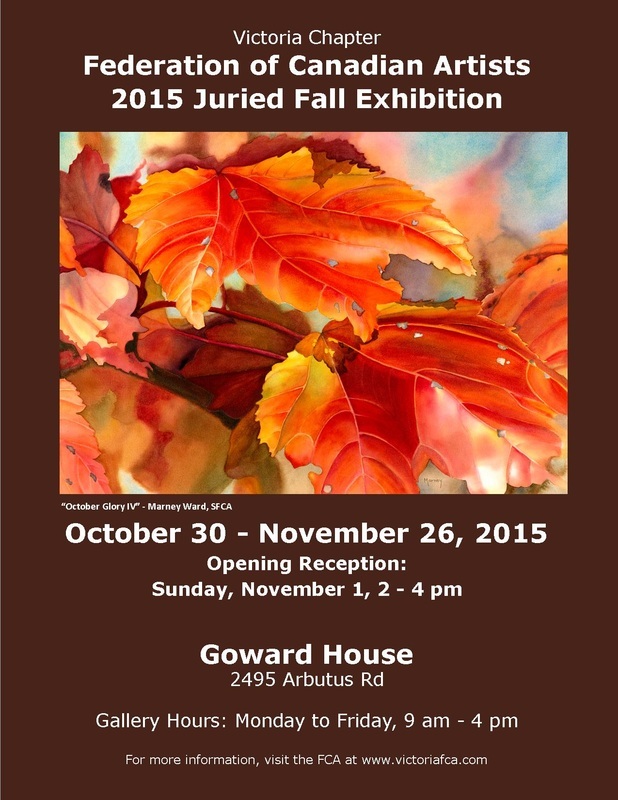 I was one of 3 jurors for this exhibition and one of my paintings, October Glory IV, is the poster image and the original painting is in the show. 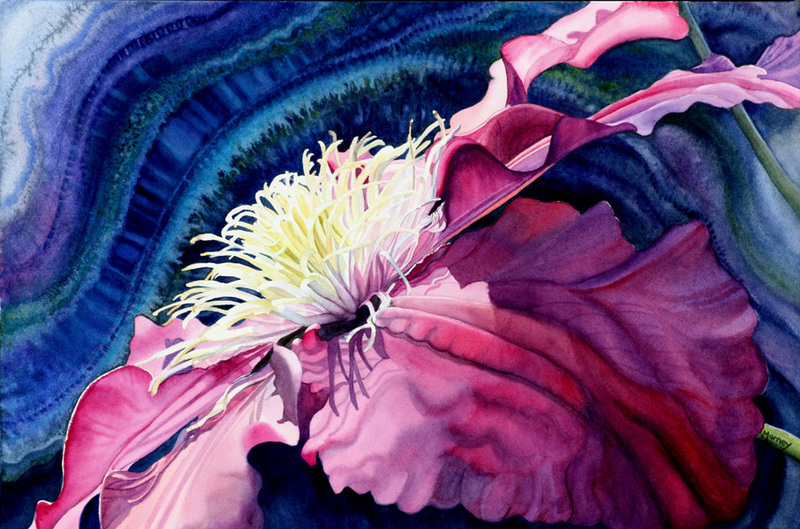 One of my small prints is the door prize, no entrance fees. Open weekdays only til 4pm. 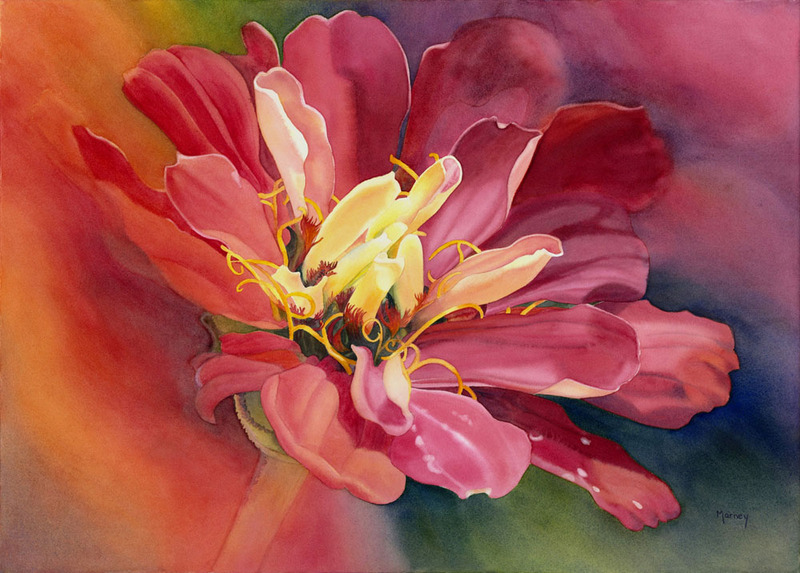 I had two paintings accepted to this prestigious regional exhibition, Butchart's Begonias and Golden Glow. 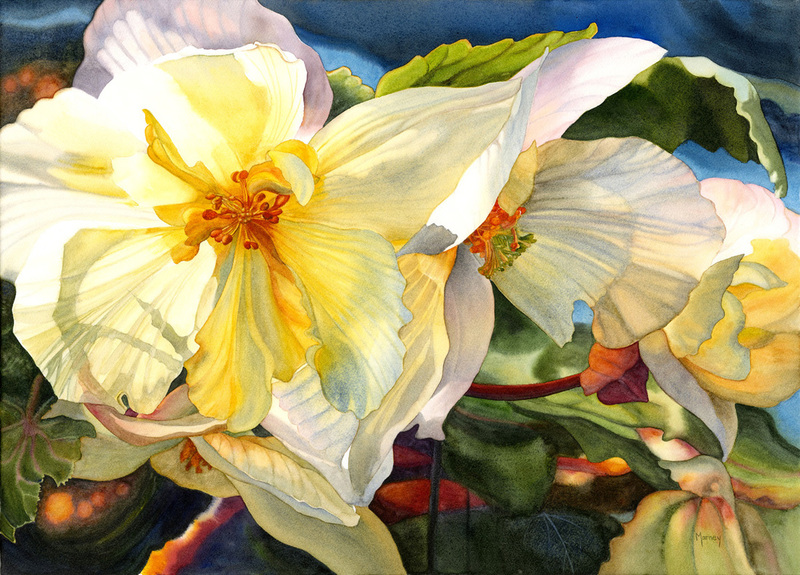 Thrilled to say I won one of the major awards, Best Work on Paper or Under Glass, for Butchart's Begonias. With 1100 entries and almost 400 works chosen, this is a huge honour and I am so grateful and humbled to win this award. 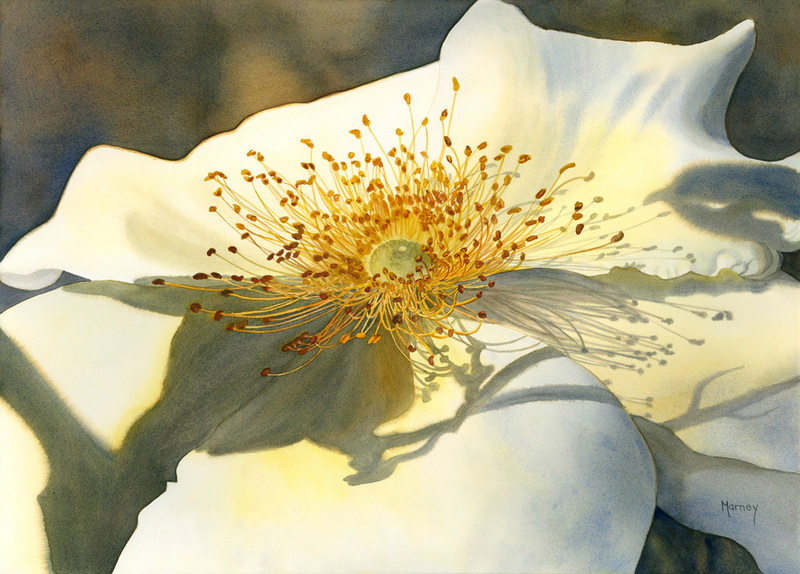 Golden Glow, watercolour, 21x14". These are deciduous azaleas. 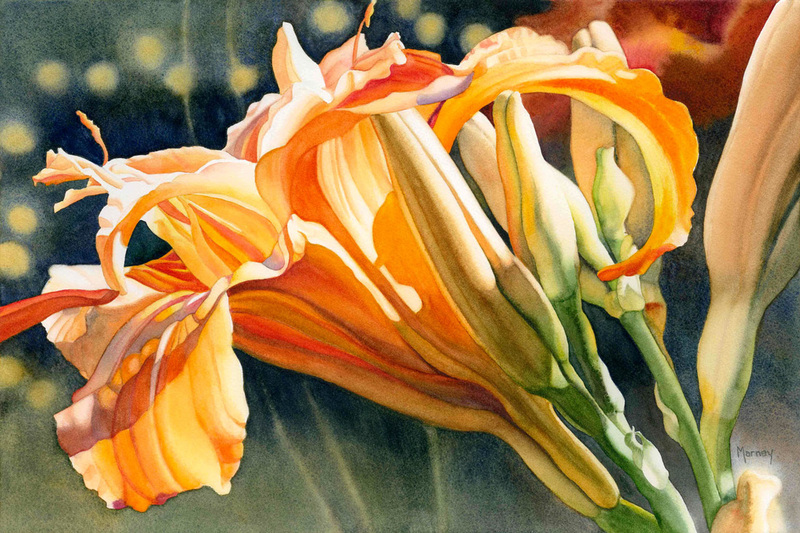 Orange Day Lily, watercolour, 14 x 21" image size, 24 x 31" framed size. I'm excited to have this painting accepted to this major Canadian exhibition and even more thrilled to have won an Award of Excellence! 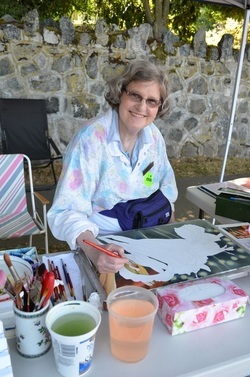 Saturday July 18, 2015, 11am-4:30pm, the Art Gallery of Greater Victoria and TD Bank sponsor a major art event in Victoria, a Paint-In which draws 30,000-40,000 visitors to see 150 artists paint, sculpt, create and entertain. 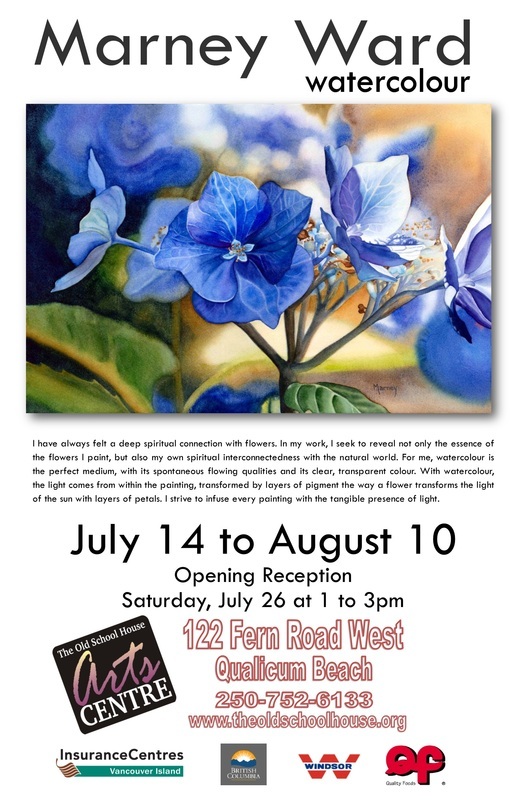 Invited artists are stationed on both sides of Moss Street, from Fort Street to Dallas Road, and will demonstrate their particular art form as well as have work for sale. I will be positioned on the corner of Moss and Wilspencer, on the west side of Moss St, just across the street from the Art Gallery. 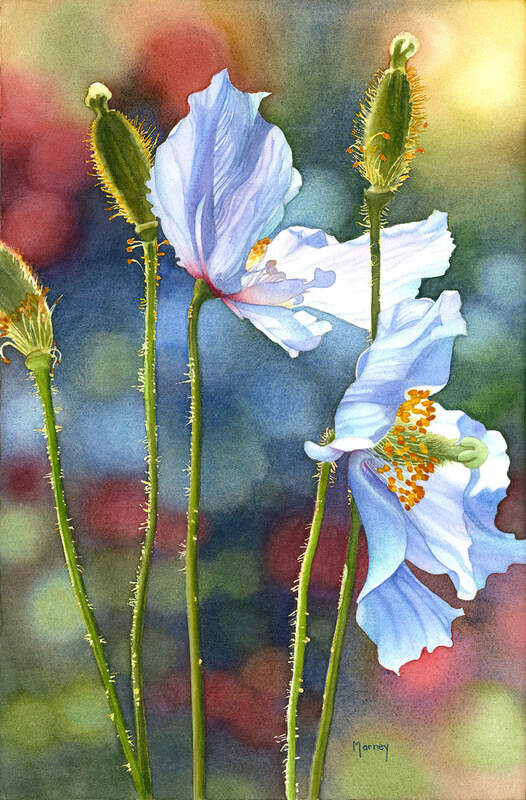 I will be working on one of my floral watercolour paintings, and will have cards, prints and original works to see and purchase. 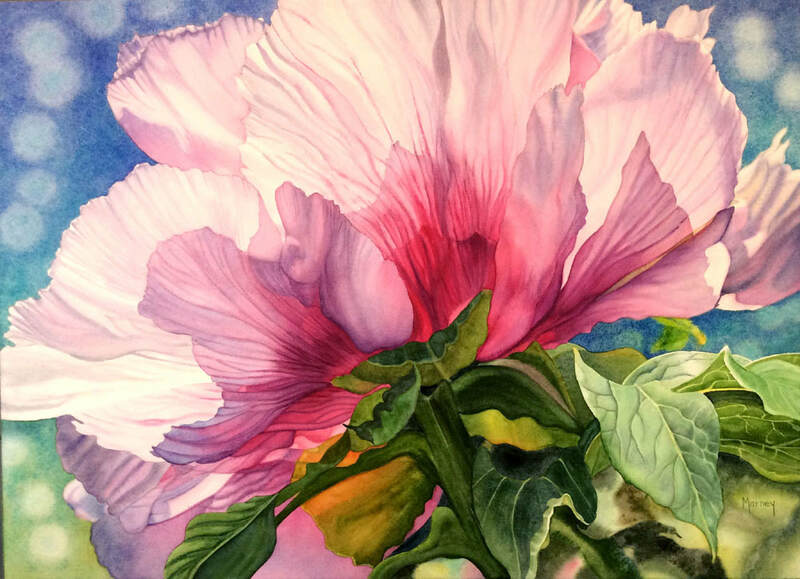 Come and watch me paint, ask me questions about my technique or sign up for fall classes. The event is followed by an evening beer garden with live entertainment at the AGGV. Unfortunately I will not be participating in the 2016 Paint-In due to impending eye surgery.